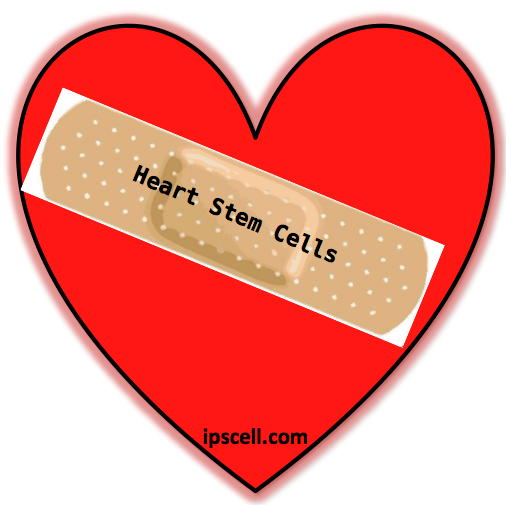 Can hearts repair themselves via stem cell mechanisms including possibly their own stem cells? It’s a hot topic question at the center of a big debate in the stem cell field. My inclination at present is that the answer is most likely “no” at this point, but that could change and it’s important to keep an open mind. Sometimes what we scientists all know to be true turns out later on to be wrong and there are good examples of this in the stem cell field. For decades the dogma was that the adult mammalian brain did not have stem cells, but now everyone knows that the adult brain does have stem cells. Yamanaka disproved the entrenched notion that differentiated cells were locked into that state with his revolutionary findings on induced pluripotent stem cells. Today the cardiac stem cell field finds itself at an interesting crossroads as to heart stem cells. There is clearly some turnover of heart cells over a lifetime that is likely somewhere between 0.5-1.0% of cells per year, although the source of this regenerative capacity remains unknown. New cells may arise from a resident stem cell population, but the identification of this population has been controversial and I believe that if such a population exists, we may not have all the markers with which to identify is as yet. Alternative sources are 1) circulating progenitors that relocate to the heart and give rise to new myocytes, or 2) cell division of pre-existing myocytes that would give rise to new myocytes. In any case, none of these putative sources of new muscle are sufficient to regenerate a damaged heart, but do give hope that they could be harnessed for generating an increased number of cells when necessary. Stay tuned in coming years as we learn more about this hot topic of heart stem cells and cardiac repair possibly based on therapies developed out of what is learned. If the question is reworded to “can bone marrow cell therapy help fix a heart?” then the following meta-analysis of randomized clinical trials seems to say somewhat yes, maybe. The answer us a resounding YES. We published experimental studies using genomic ally labeled cloanal population derived from a single cell of pluripotent stem cells in 2004. See J Cell Biochemistry Biophysics 40:1-80, 2004.
the big issue is also how to replace the demaged cells in the heart which may cause problems like arrhythmia and contractility.